In Japan, Final Fantasy XIII's Buy-Back Value Is Cheap! 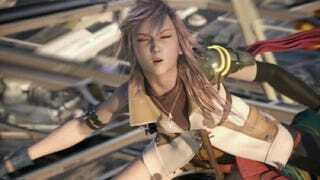 On December 17, role-playing game Final Fantasy XIII went on sale for the PS3 in Japan. It was priced at ¥9,240 (US$102). Want to sell back your copy? In a little over a month and a half, the used game is fetching ¥1,500 (US$17) from major Japanese game retailer GEO. By comparison, used games Pro Evolution Soccer 2010 on the PS3 commands ¥4,800, Call of Duty: Modern Warfare 2 merits ¥4,500 and Musou OROCHI Z is priced at ¥3,100. The lower end of the scale looks like this: Uncharted is worth ¥1,500, NBA Live 10 is ¥2,000, Grand Theft Auto IV is ¥2,500 and Dragon Ball Z Raging Burst is ¥1,500. Remember, these are buy-back prices. The games will then be sold at higher prices. What's more, the prices do not reflect the quality of the games, but rather, the supply and demand. Most likely, low buy-back prices means that many players, who have probably already finished the title, are selling back the game. In Japan, renting games is not wide spread and permitted in the same way it is in the West. Instead, players buy games and keep the disc, booklet and case in pristine condition so they can sell back to the titles to shops like GEO.